You are here: Home / Research / Short Sellling / Is short selling bad for your psyche? “Lo que no mata engorda”, what does not kill you makes you fat. Bob Baerker, a respected short-seller, sums it well. You are probably alluding to the good and evil battle between the righteous short seller who perceives wrong, the arrogant and corrupt management who falsify their financial statements and price that stubbornly goes up until the final collapse. Fairness is one of the very few built-in traits in humans. Numerous studies have been conducted on fairness in toddlers. It appears that our sense of fairness predates our language. Even children who turned out to exhibit clinical psychopathic tendencies, dysfunctional amygdala, react to fairness. So, as short sellers, every now and then, we are tempted to right the wrongs. We engage in a duel with companies and the multitude who buy into the frenzy. One sane mind against a raging mob is still an unfair fight. A simple advice is to wait until the mob has changed side and starts liquidating its position. You will be vindicated. 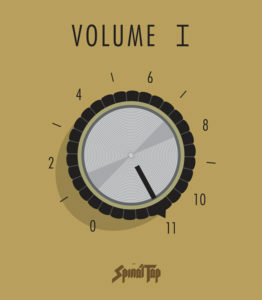 In spinal tap, they can turn the volume at 11. On the short side, stress volume is always at 11, even when it works in your favor. In that sense, short selling is corrosive for your psyche until You learn to manage stress. Welcome to the dark side: the short side will test the darkest corners of your psyche. It will go and elicit fears so deep you did not know you had them. Great, fear dissolves when exposed. I used to journal fears and work through them using Byron Katie’s The Work. Van Tharp recycled this in his fantastic “trading beyond the matrix”. Fear elicitation is a great tool to help you work through your subconscious phobias. http://alphasecurecapital.com/wp-content/uploads/2015/03/logo-e1426537613238.png 0 0 lbernut http://alphasecurecapital.com/wp-content/uploads/2015/03/logo-e1426537613238.png lbernut2017-03-08 02:01:052017-04-05 21:22:02Is short selling bad for your psyche? Why do 100% of economists say that it's hard to predict stock prices?